Had dinner last night at MoonCat's, just east of Myrtle on Lime. It's a tidy little Japanese restaurant. 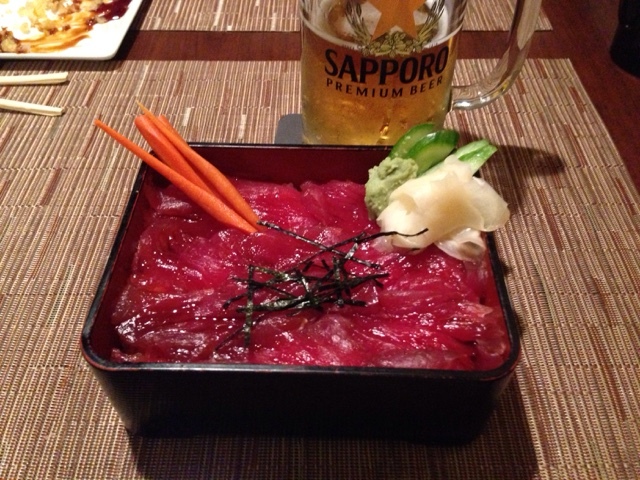 I got the Tekka (tuna) Bowl for $18 and a beer for $4. Friendly server and food was tasty. Not sure where Line St is? Comes from typing on an itty bitty iPhone keyboard. "LIme." Sorry 'bout that.